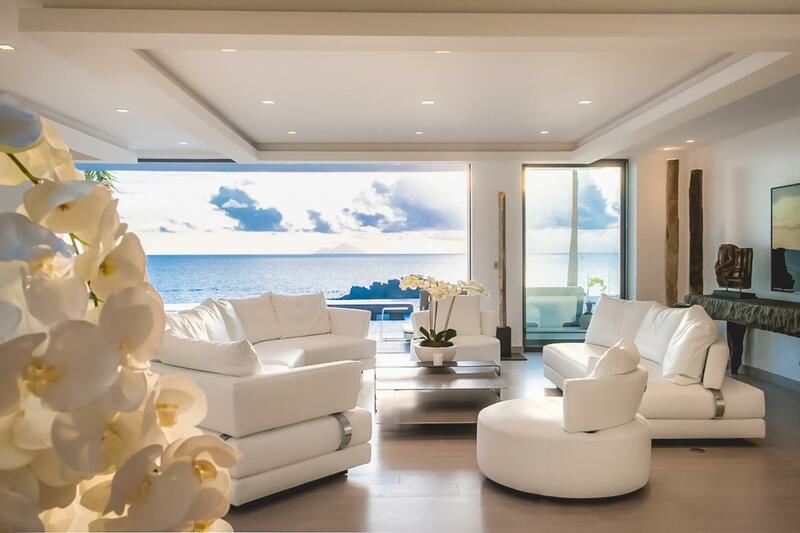 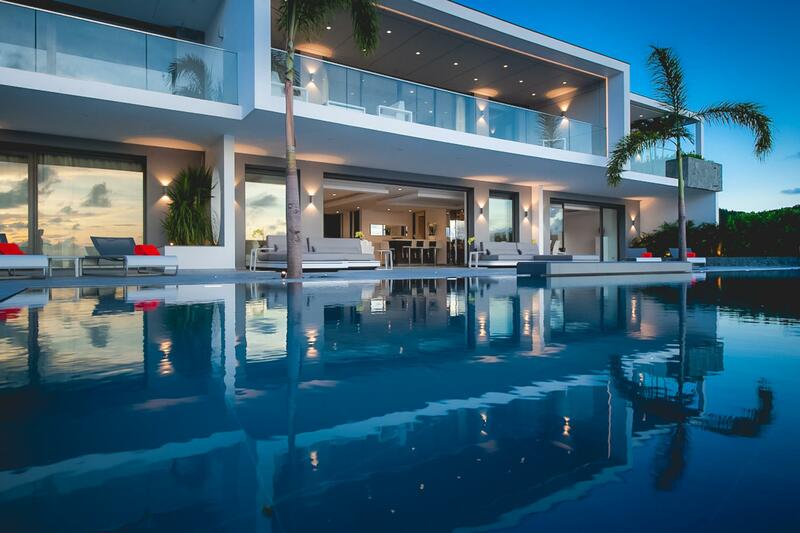 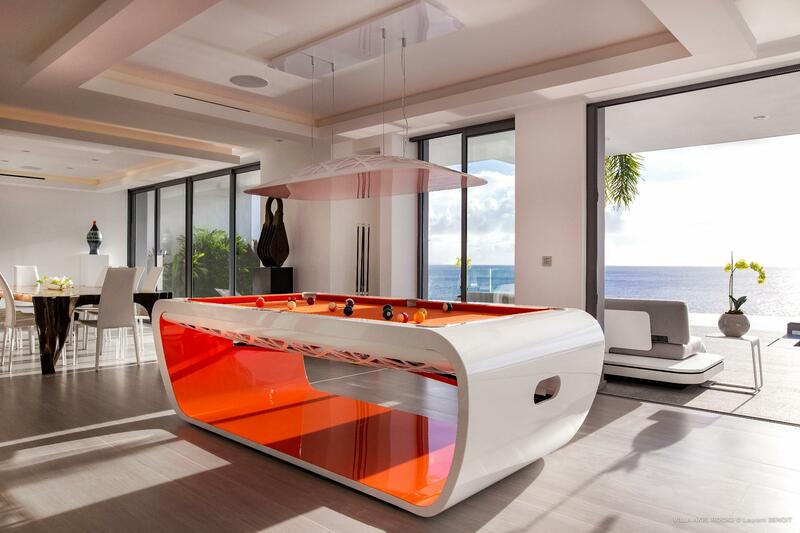 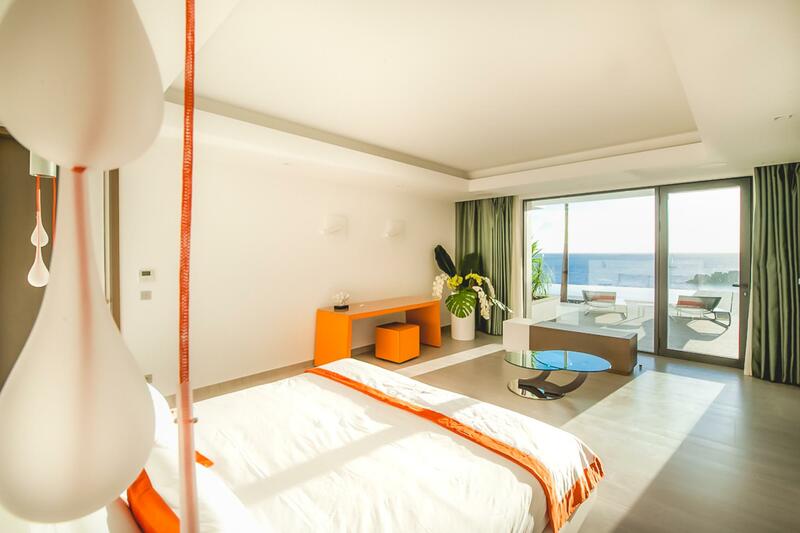 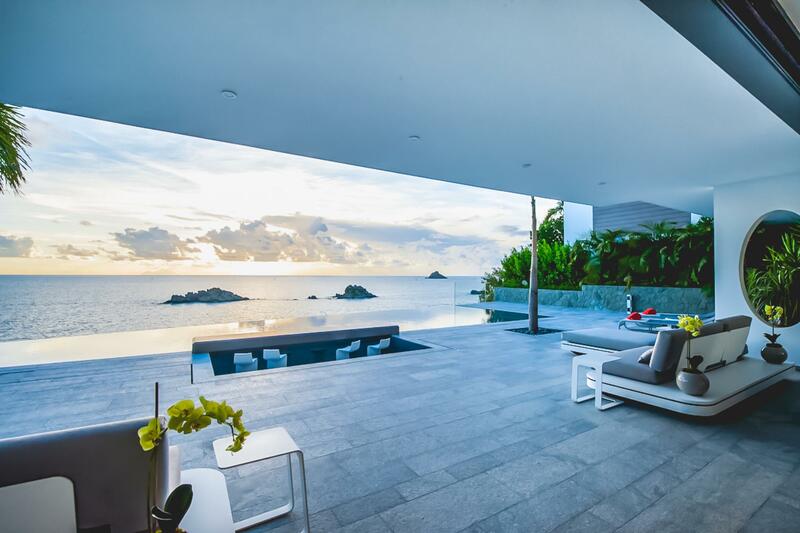 Stylish and distinctive, the newly built Villa Axel Rocks (ARC) may leave you wondering if you are in a luxury vacation or in a high-end art gallery. 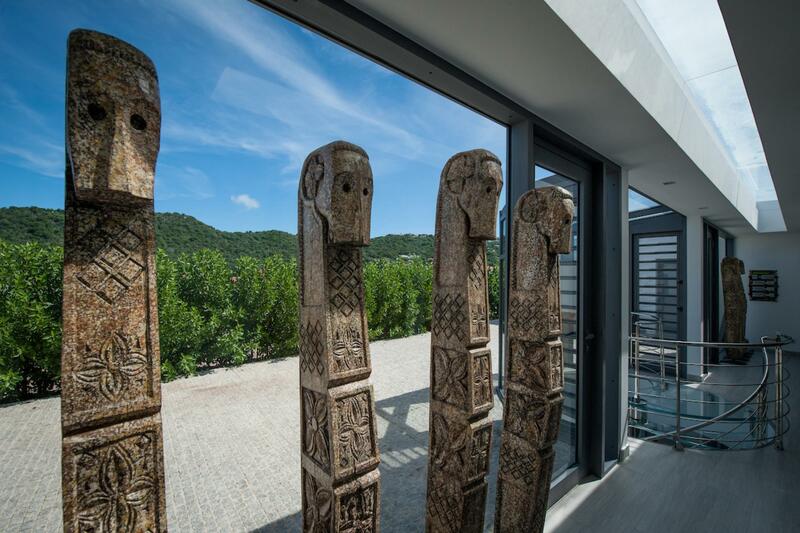 The rental property&#146;s owner&#146;s unique contemporary furniture pieces, light fixtures, sculptures, and small pieces of hanging art give the house a creative flair&#151;making it an ideal place to relax and feel your own inspiration start to flow. 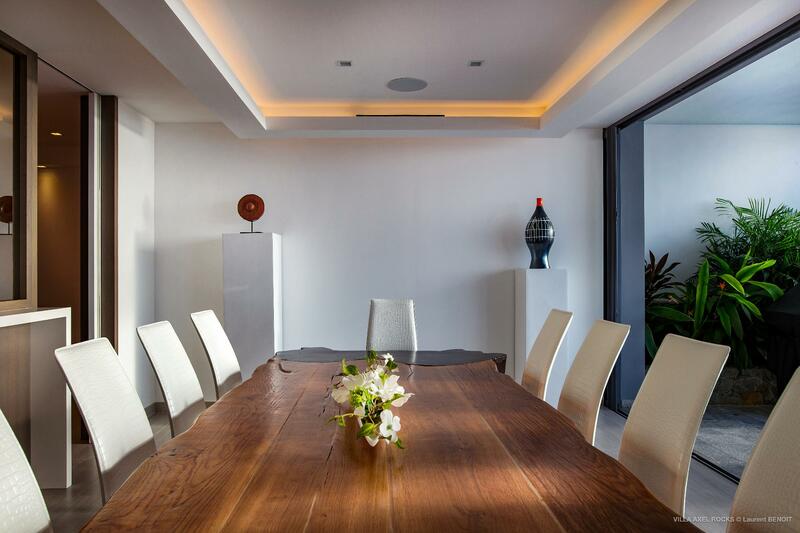 The conversation will certainly flow, around a striking dining table fashioned from a reclaimed tree trunk. 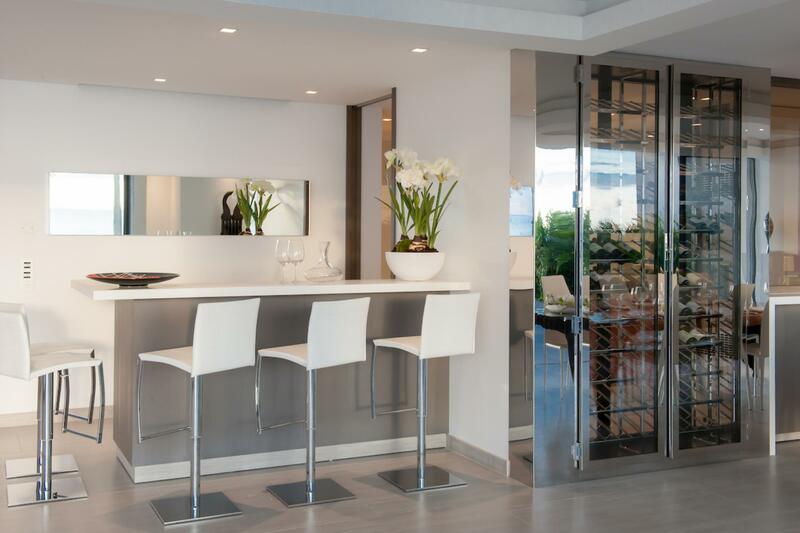 Or at the L-shaped counter that can serve as a casual breakfast spot. 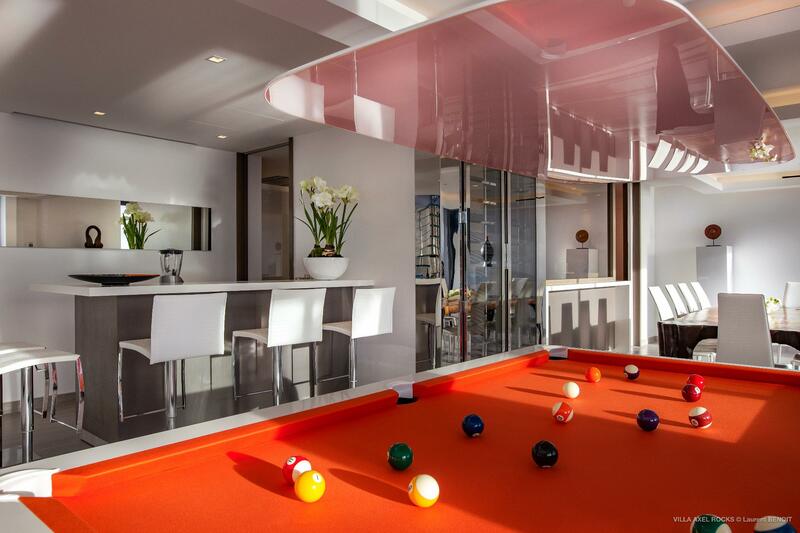 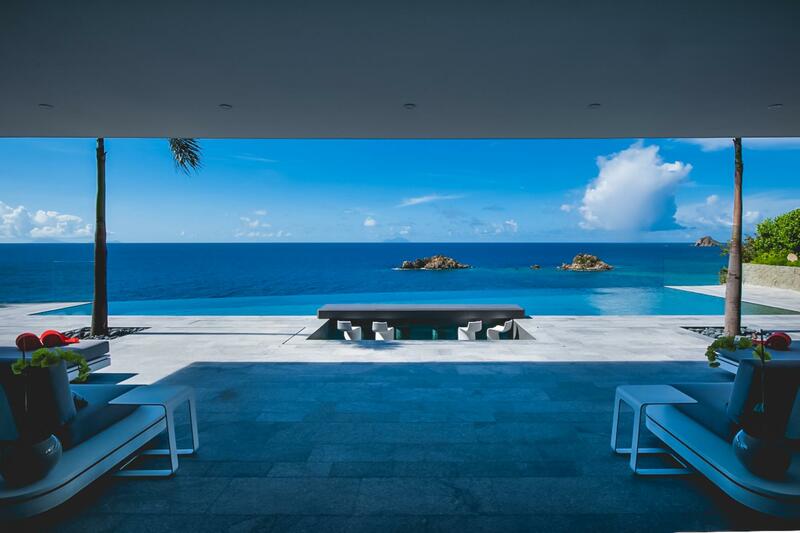 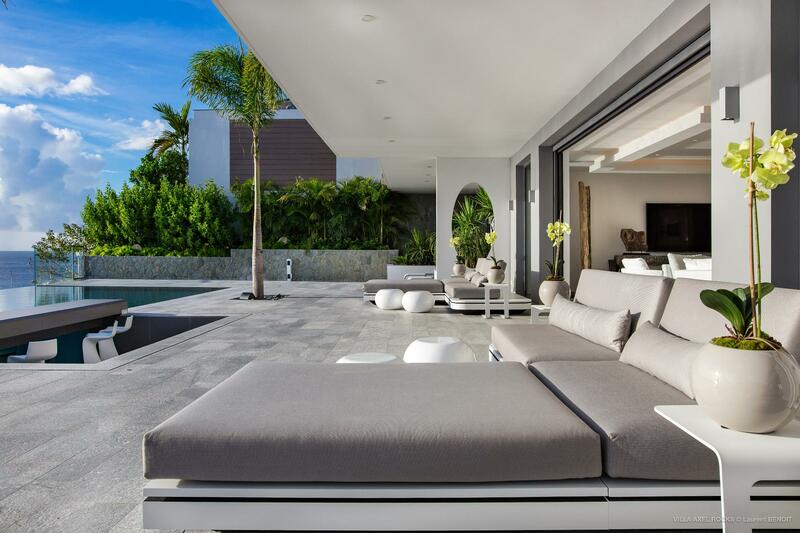 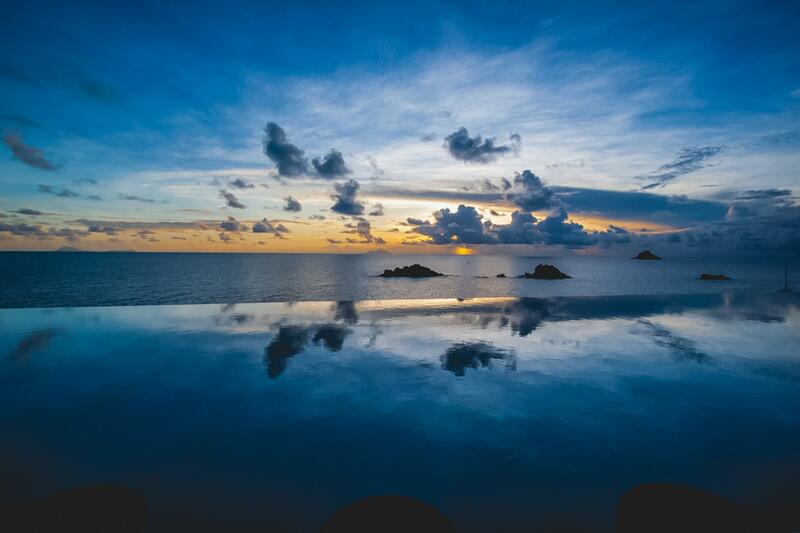 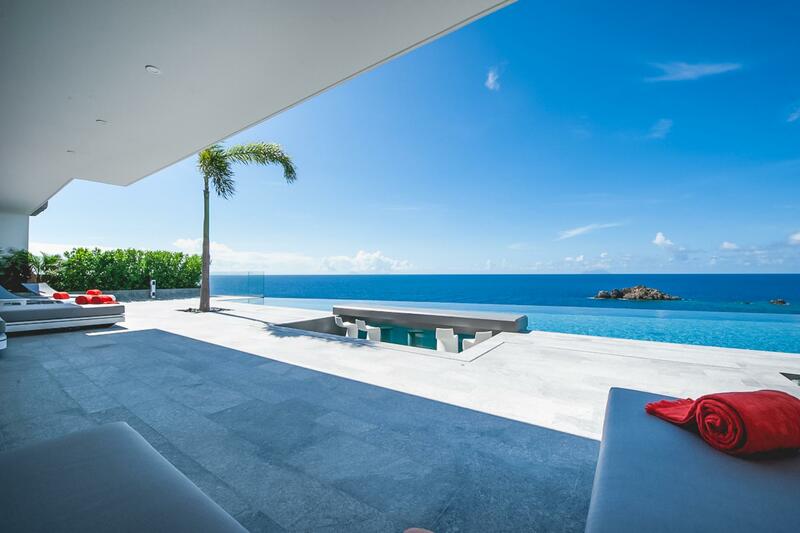 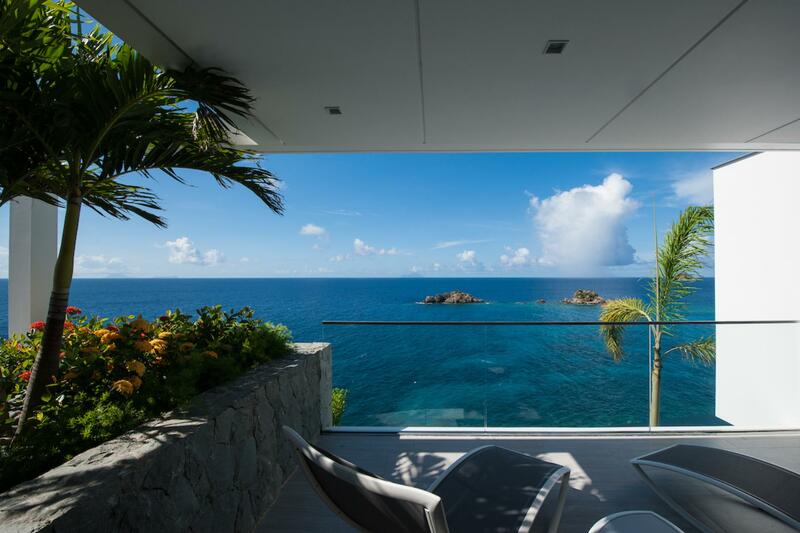 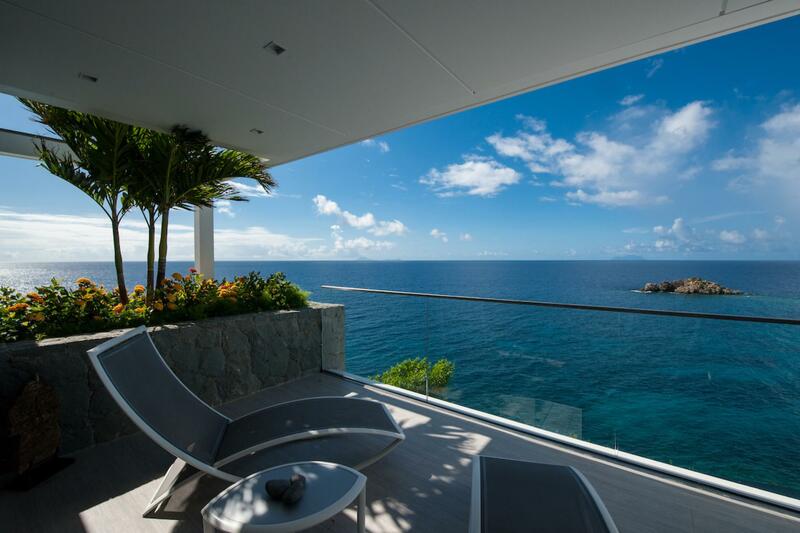 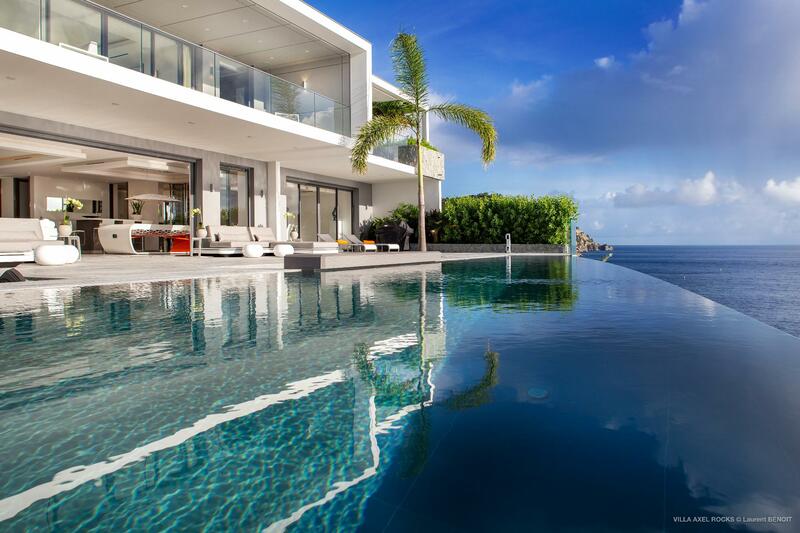 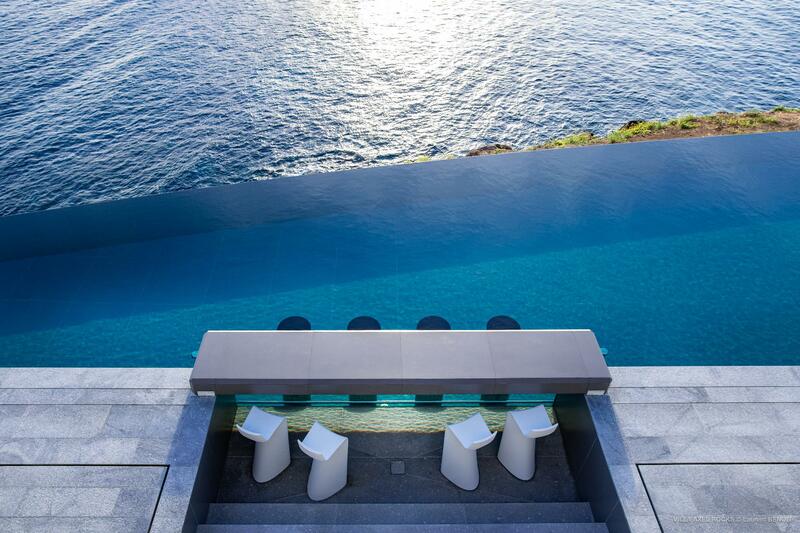 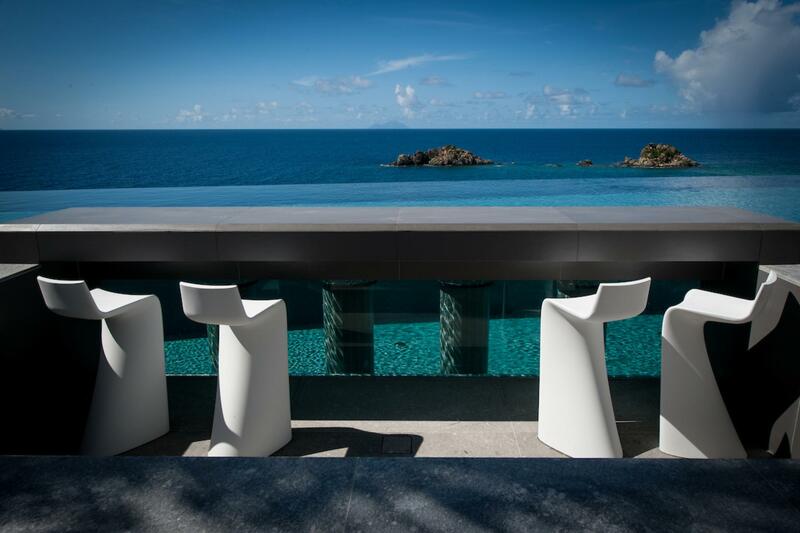 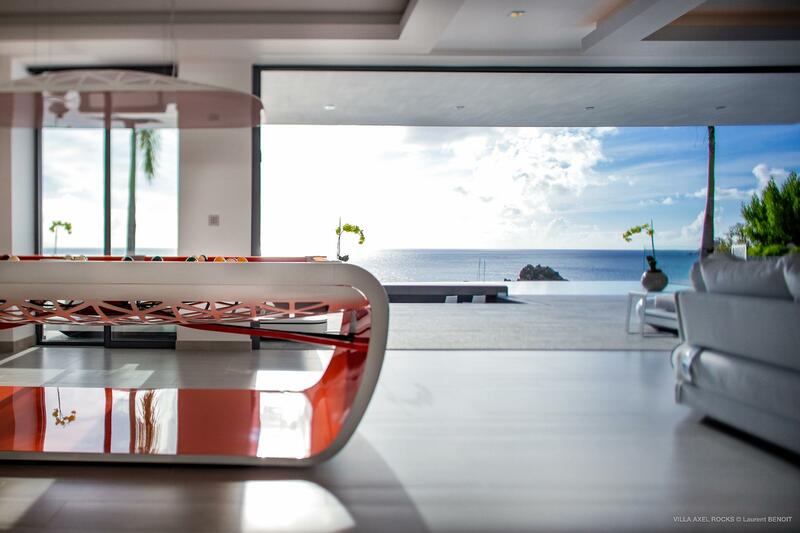 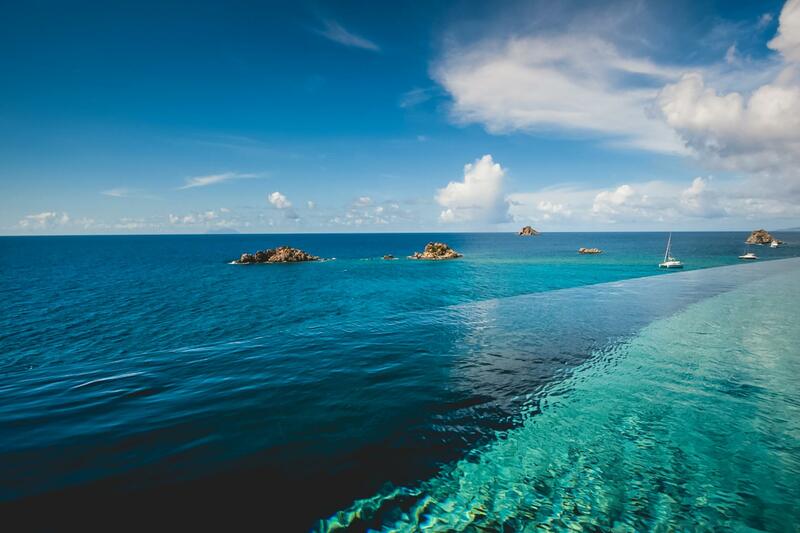 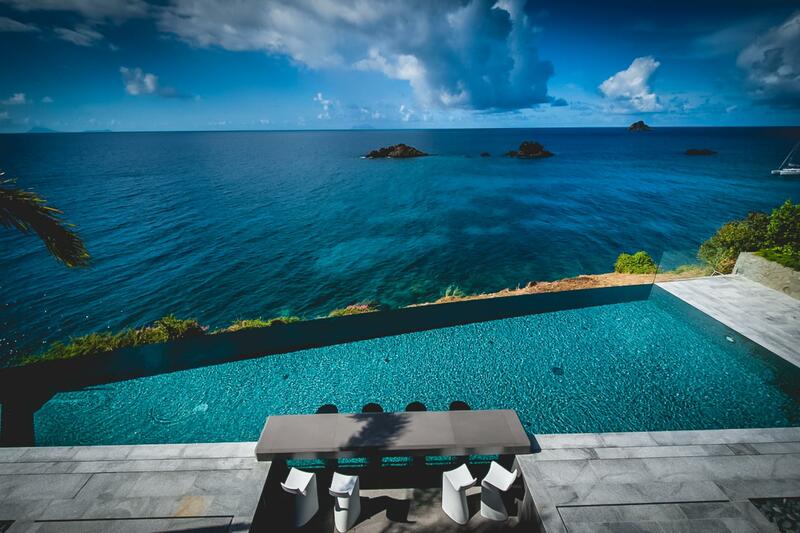 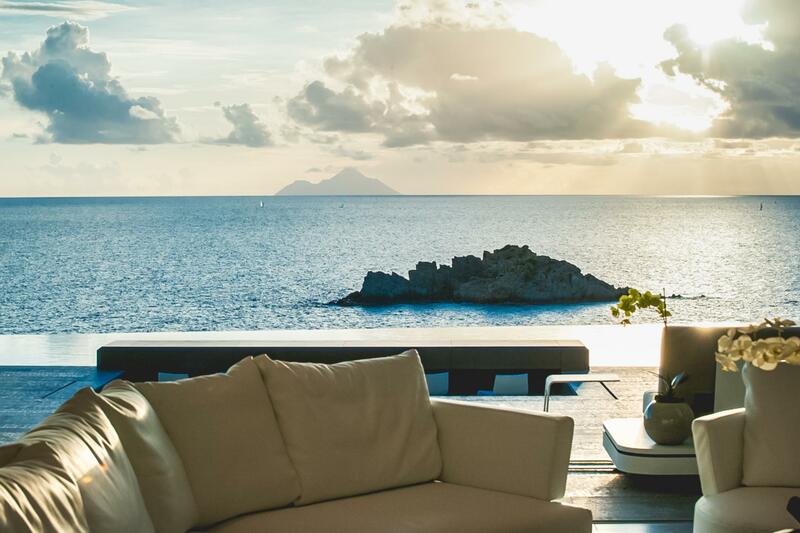 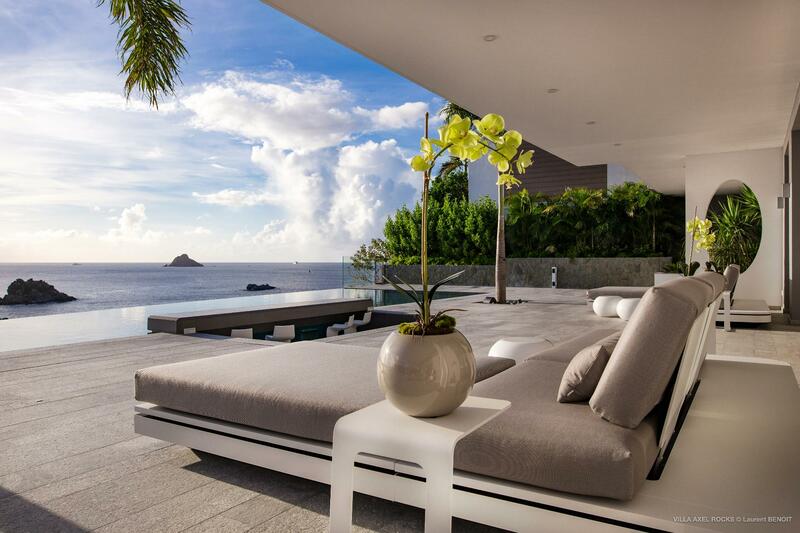 Or on the wide, stone deck, around the pool table that&#146;s between the living and dining areas, or even at the pool&#146;s swim-up bar&#151;a residential rarity not only on St. Barth or in the Caribbean but in any part of the world. 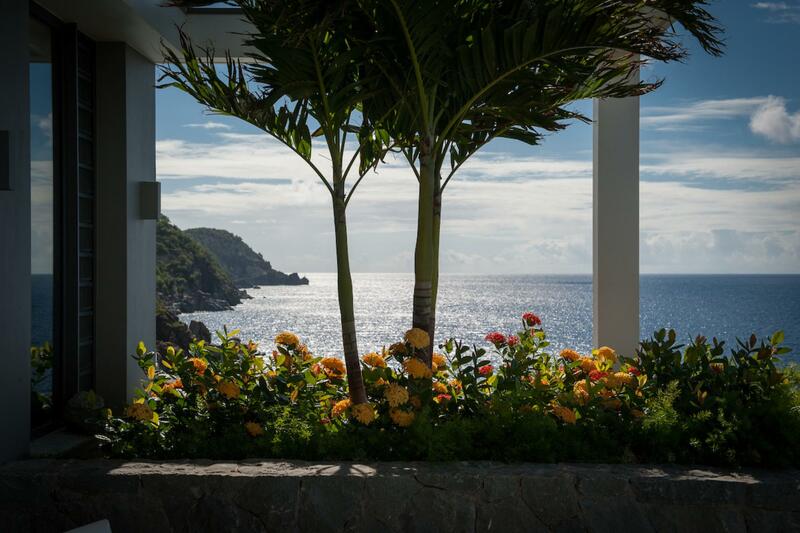 It may be a guilty pleasure to sip a ti punch at one, but is that not what an island vacation is for? 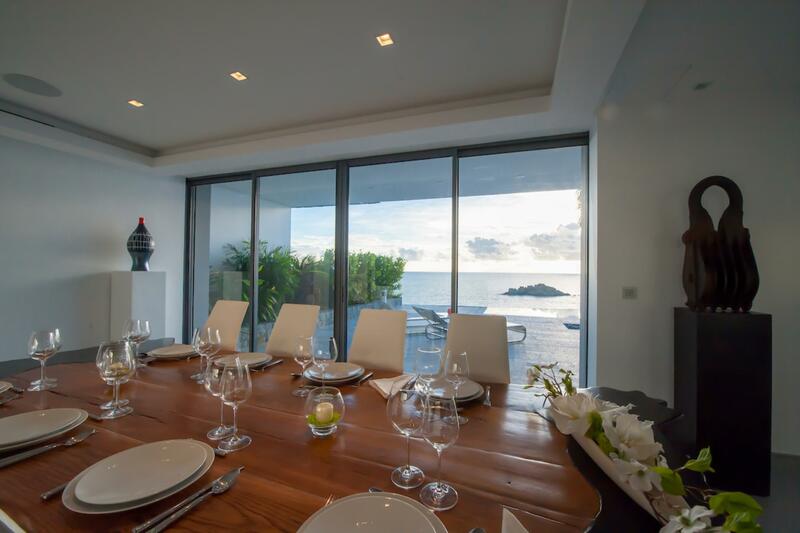 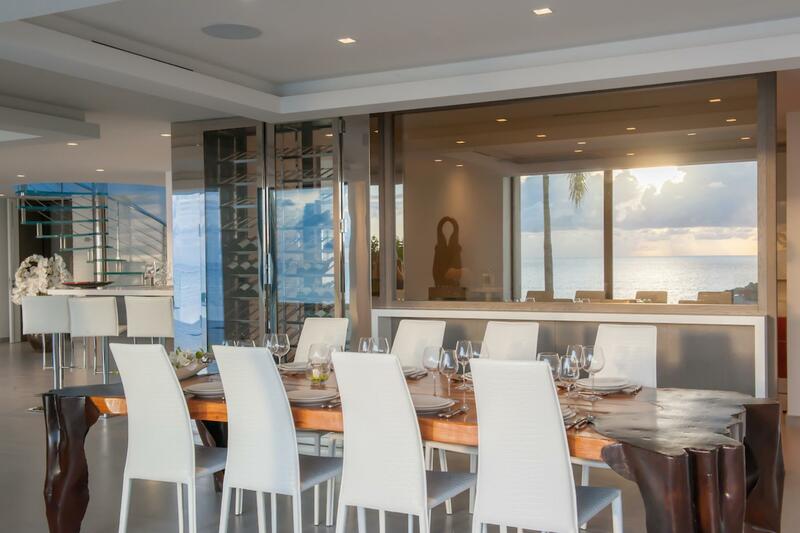 The professionally equipped kitchen can be left open to the living area for the times you want to be cooking and socializing, or closed off behind glass doors for a night when a personal chef&#151;Sibarth&#146;s concierge can arrange one of the island&#146;s best&#151;prepares a magical feast and you want to watch but don&#146;t need to listen. 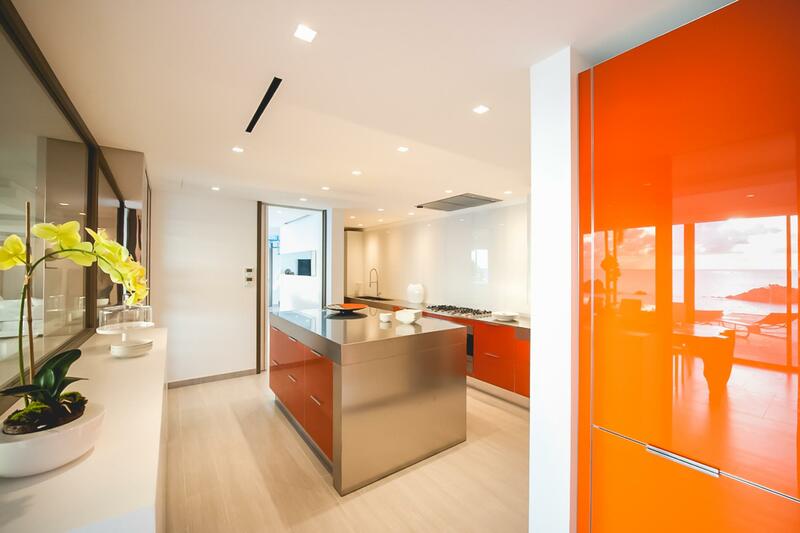 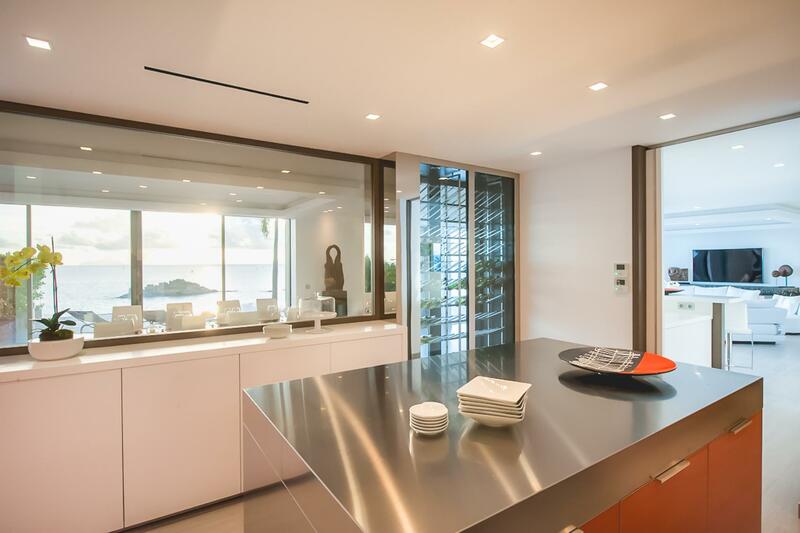 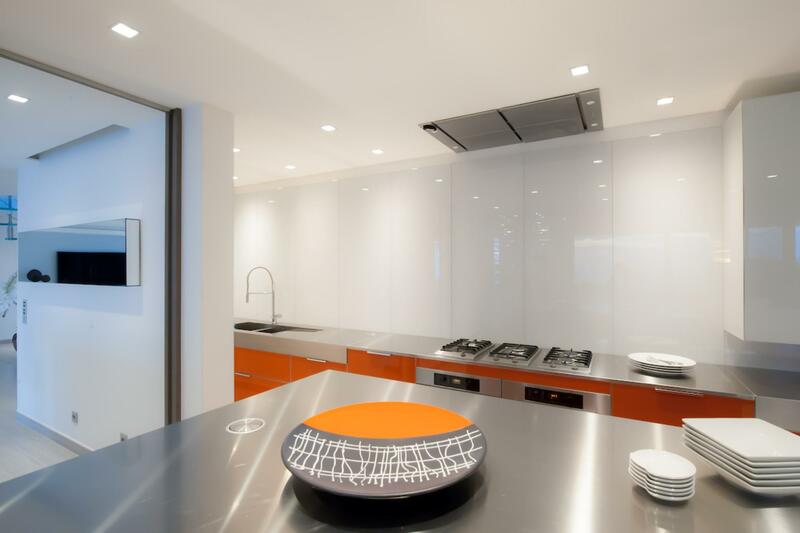 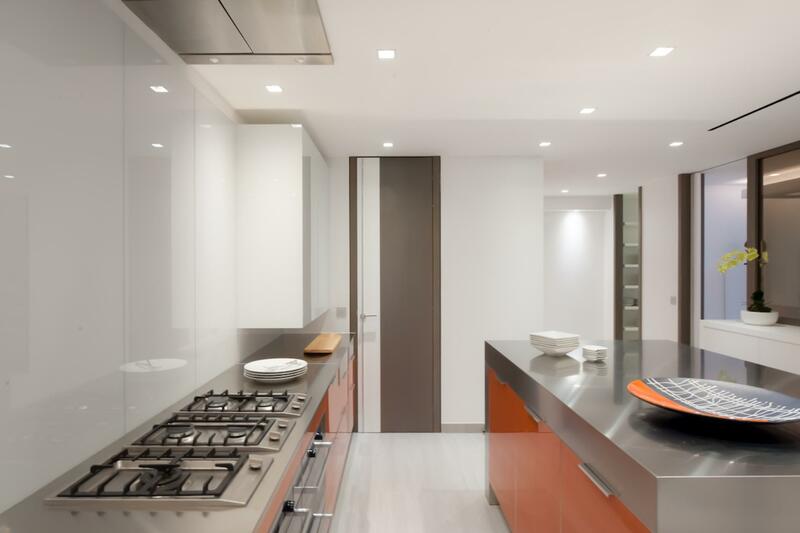 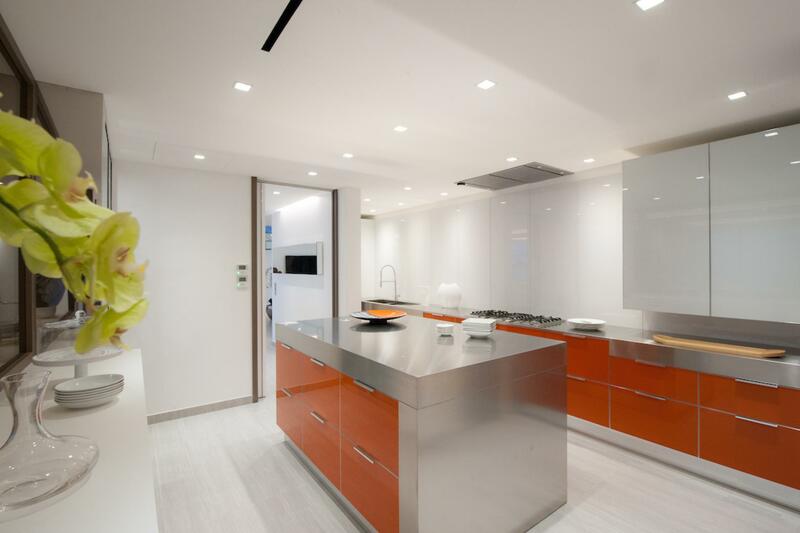 And those glass walls have a special feature that allows them to be tinted, meaning they work well for nights you don&#146;t want to think about food prep at all. 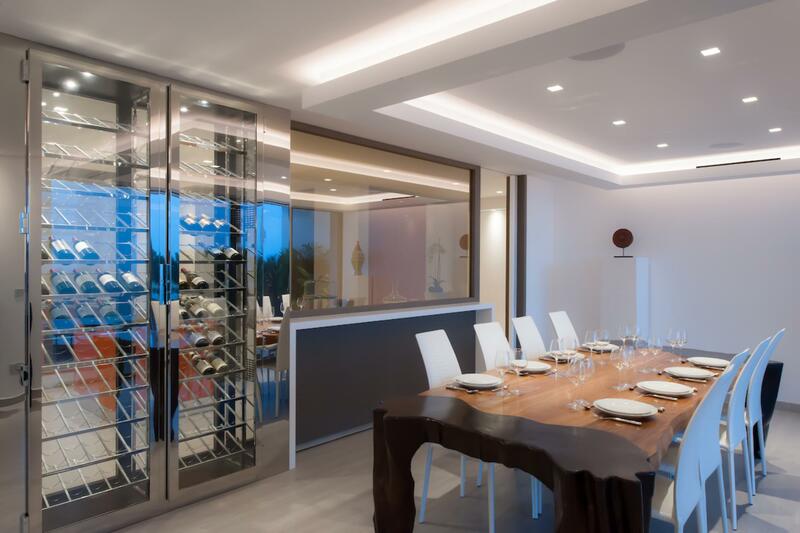 Two restaurant-style, floor-to-ceiling wine refrigerators provide ample storage and an attractive display for your bottles. 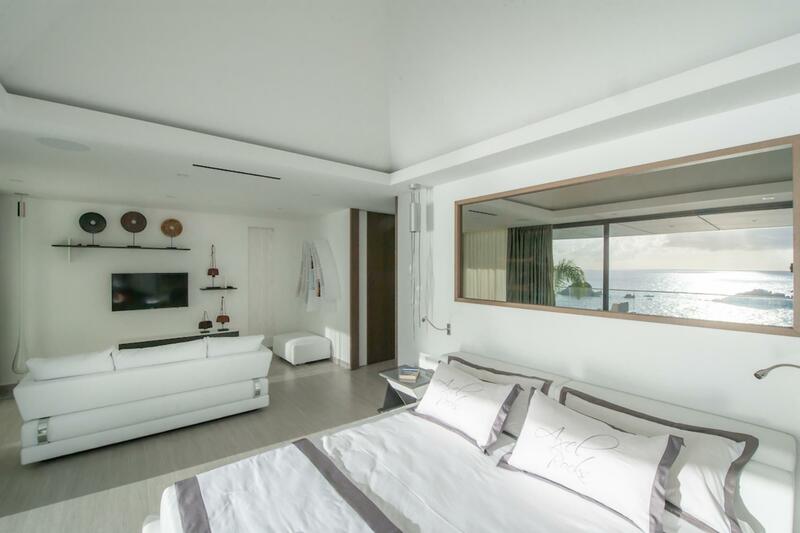 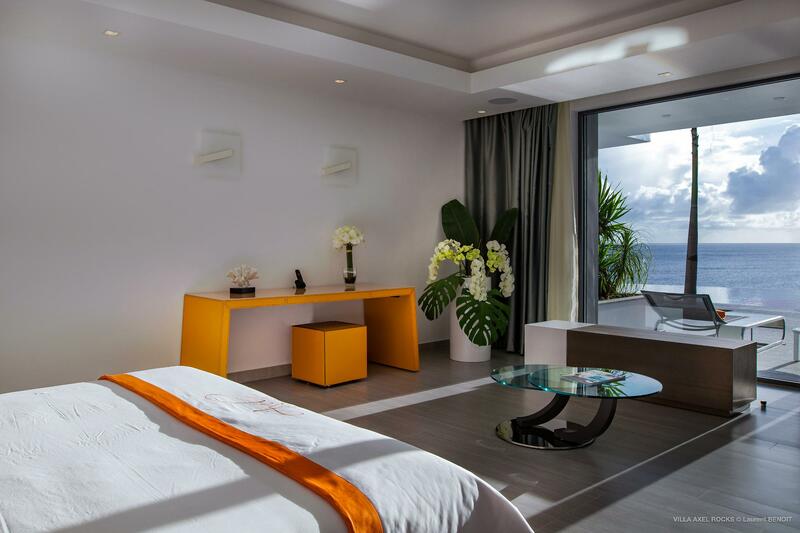 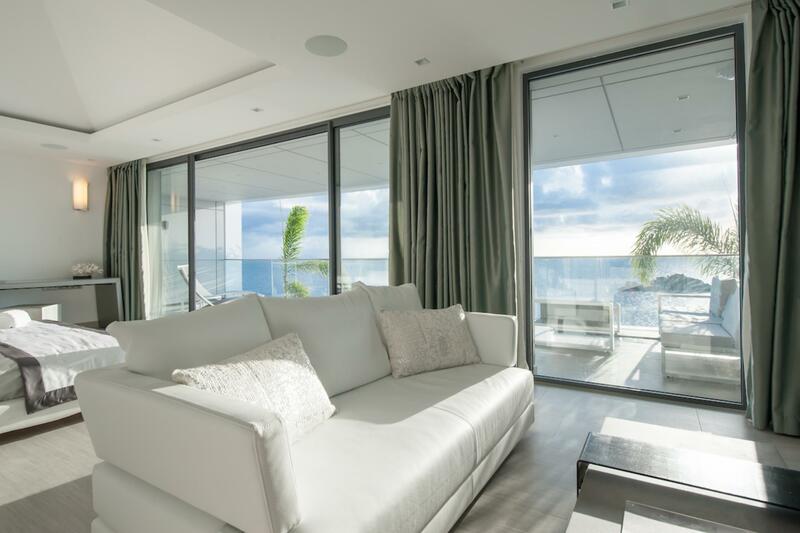 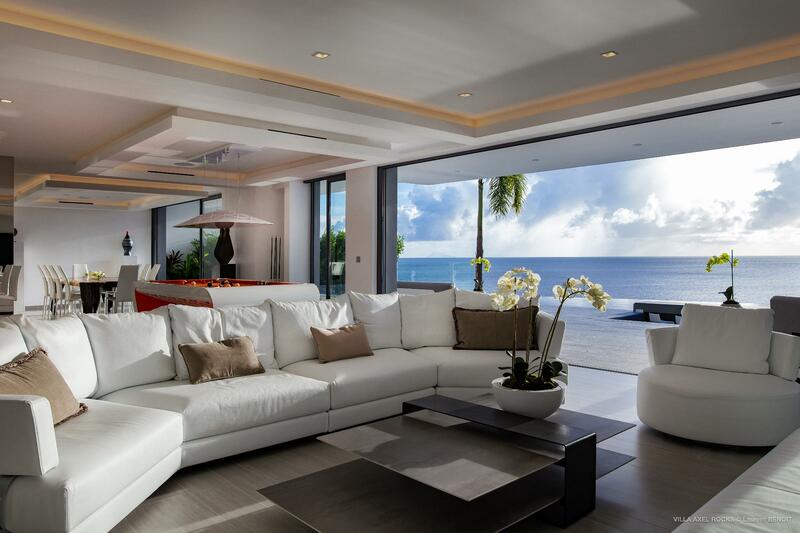 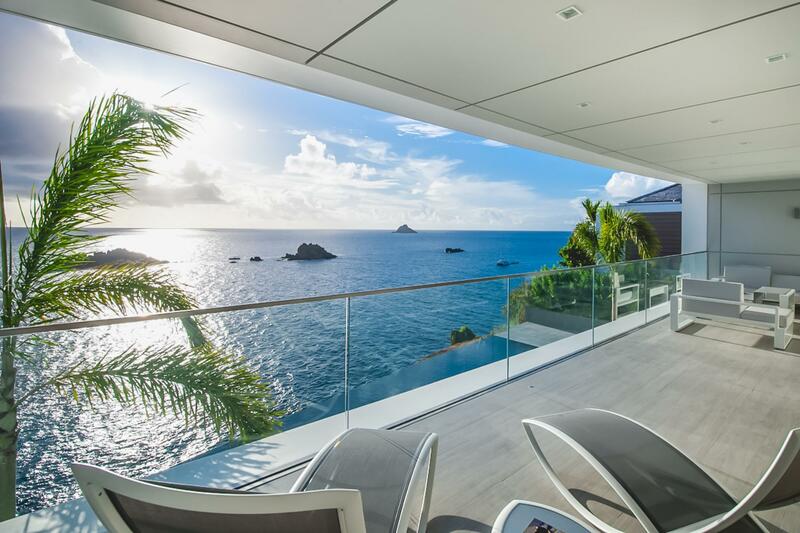 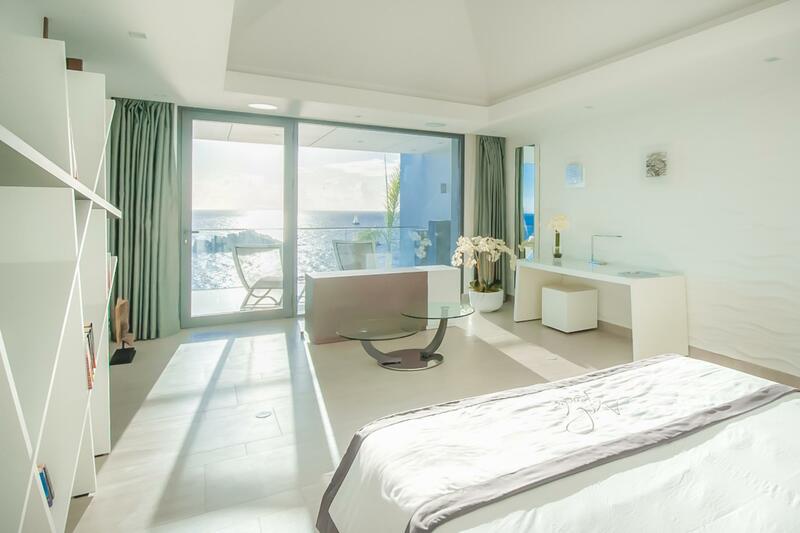 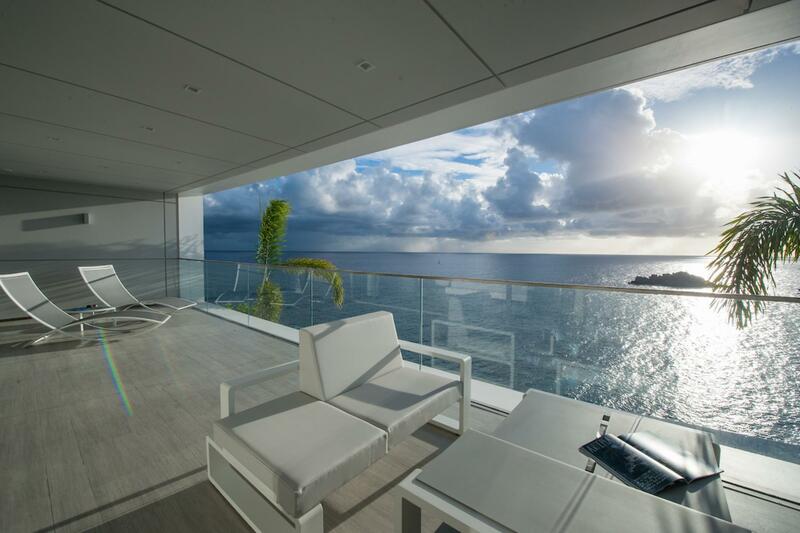 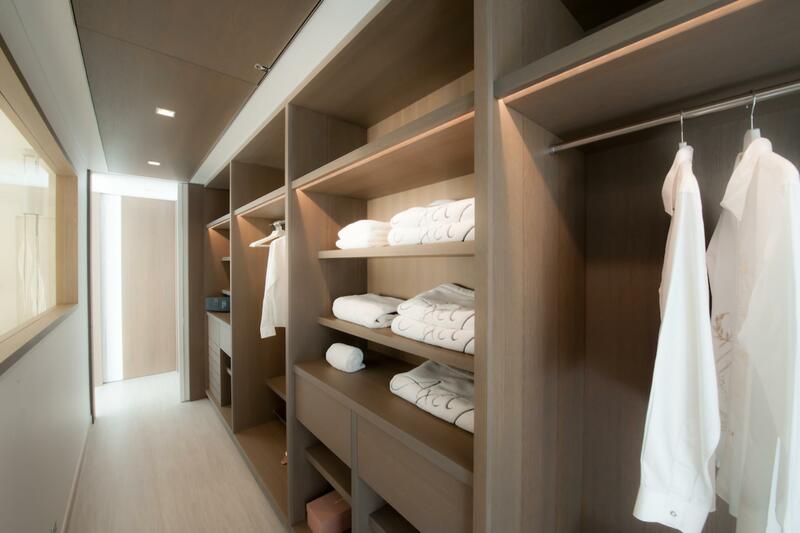 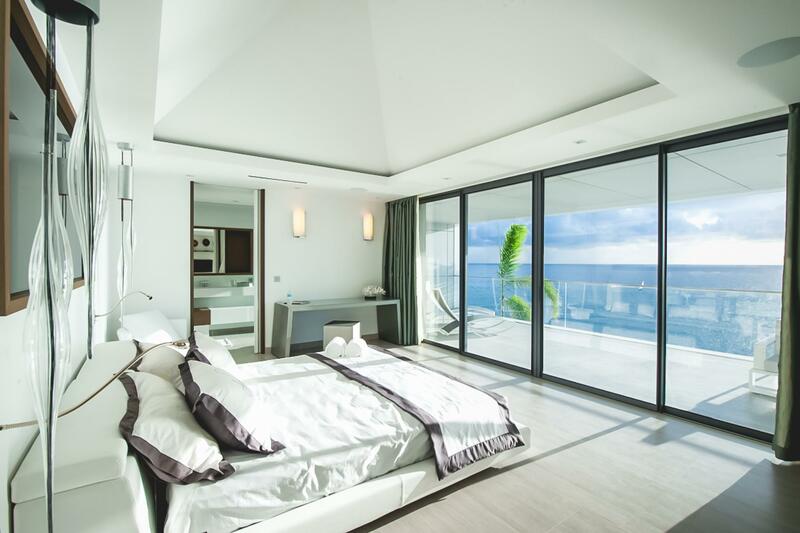 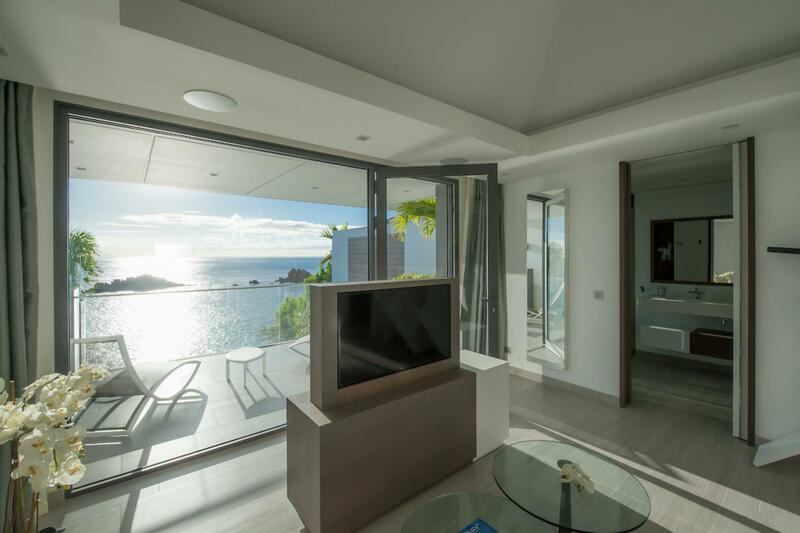 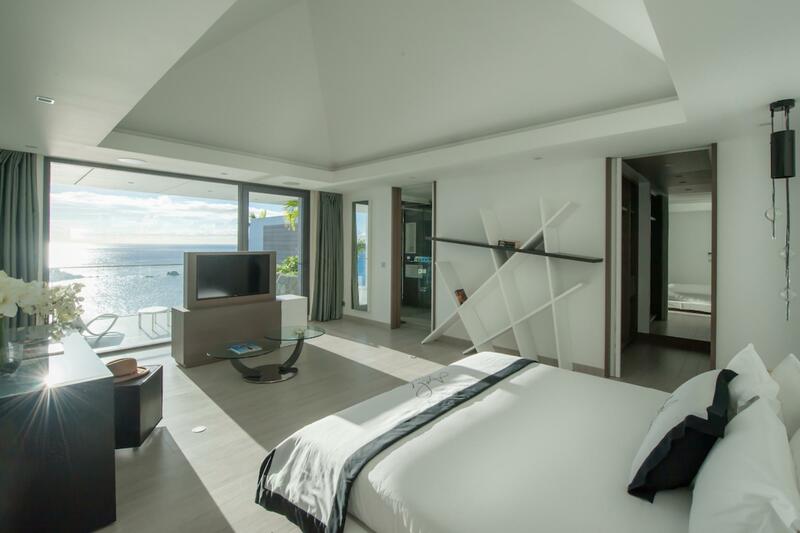 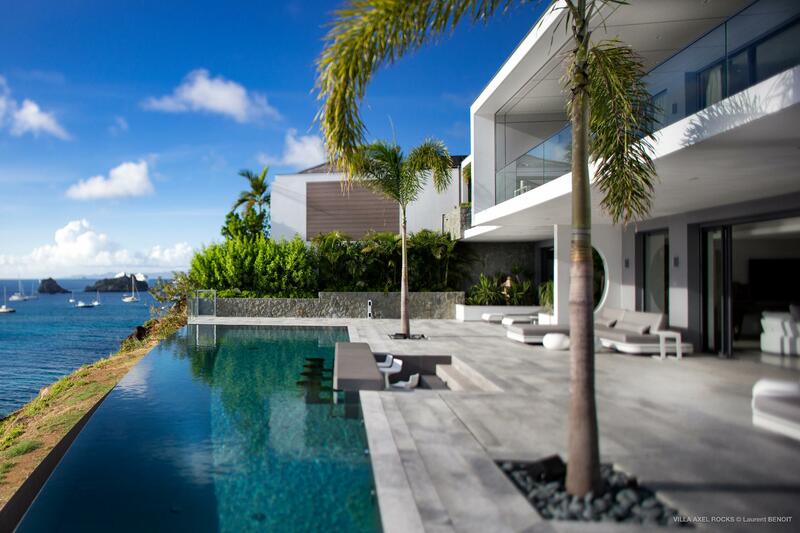 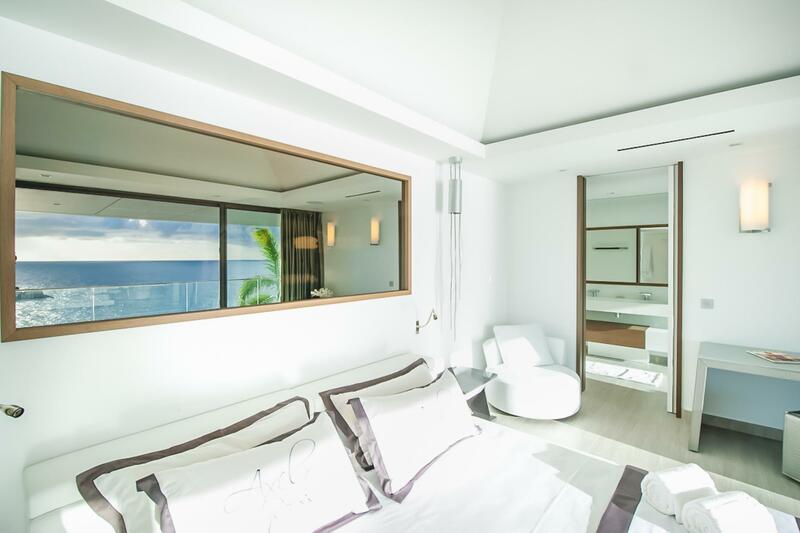 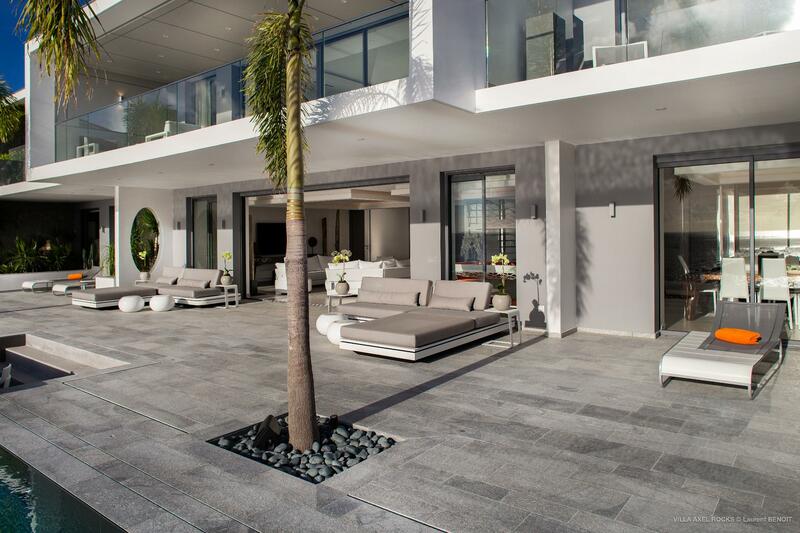 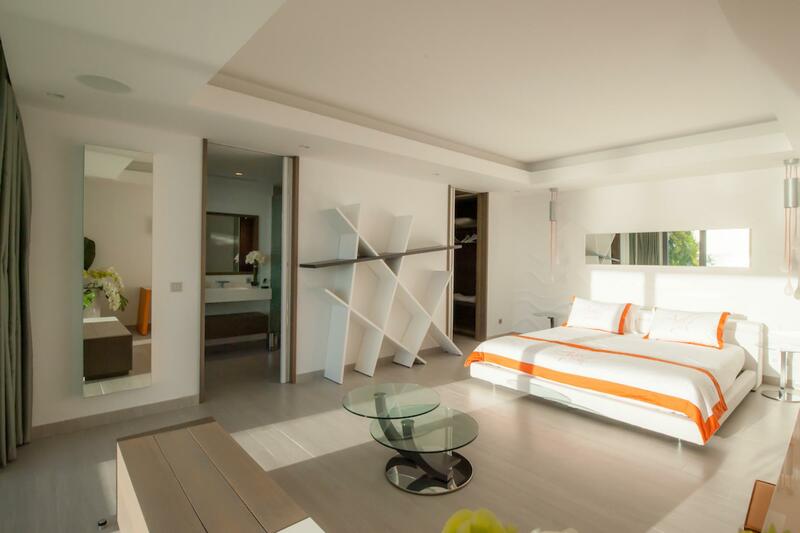 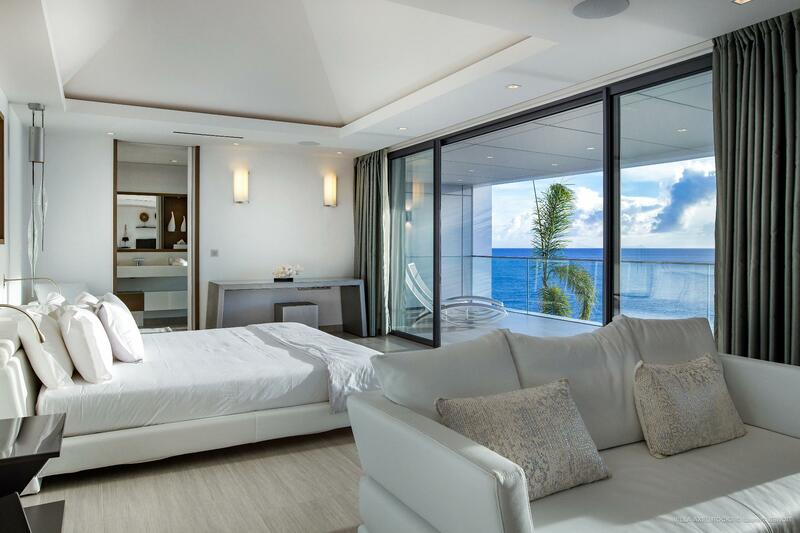 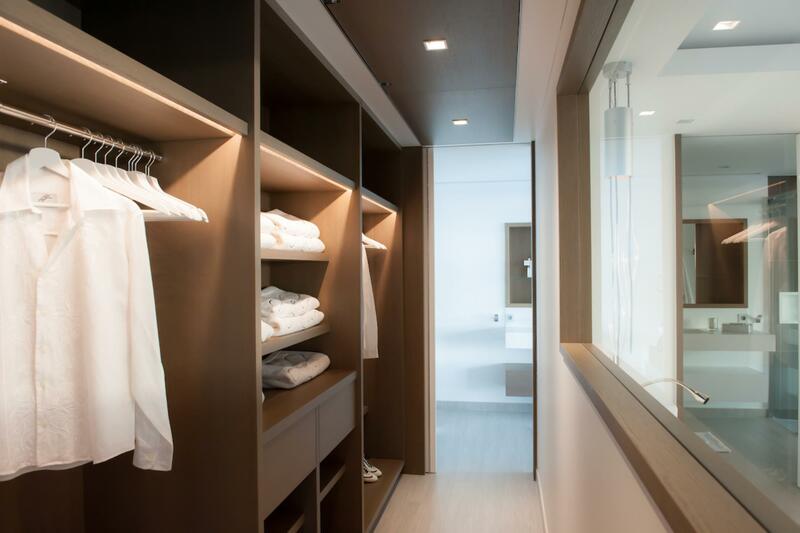 Built right in Gustavia, Villa Axel Rocks benefits from easy access to the city&#146;s boutiques, restaurants, and nightclubs. 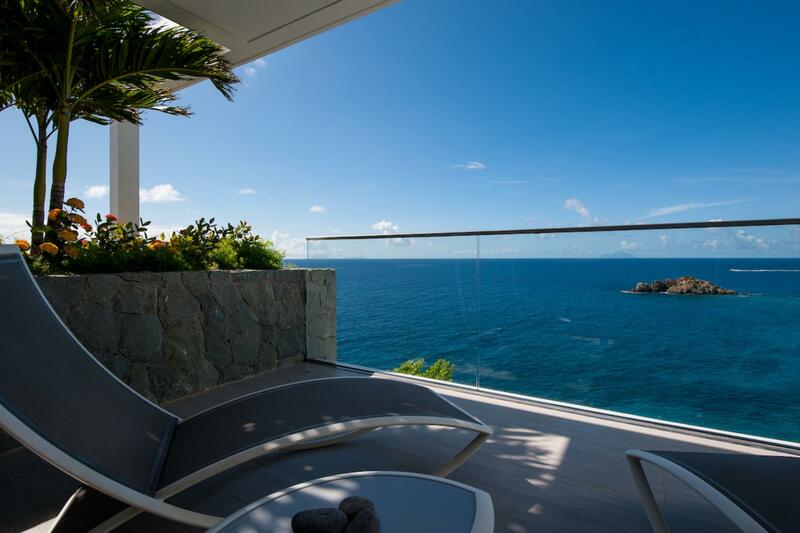 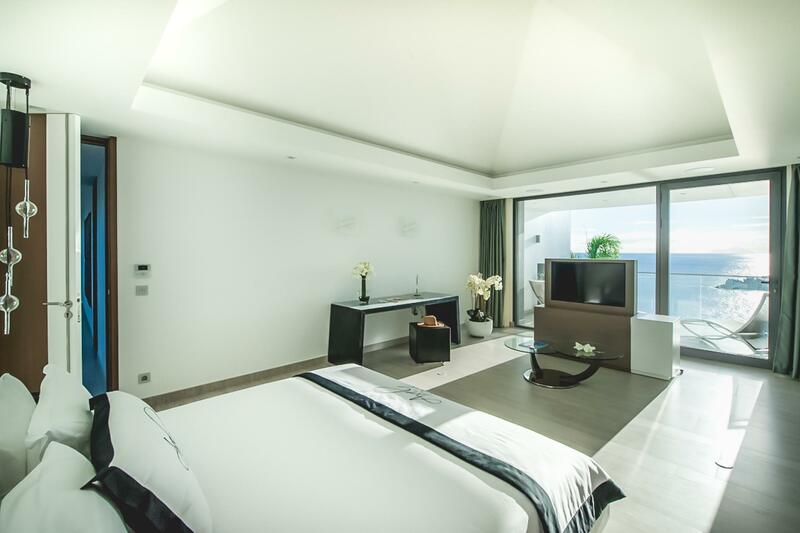 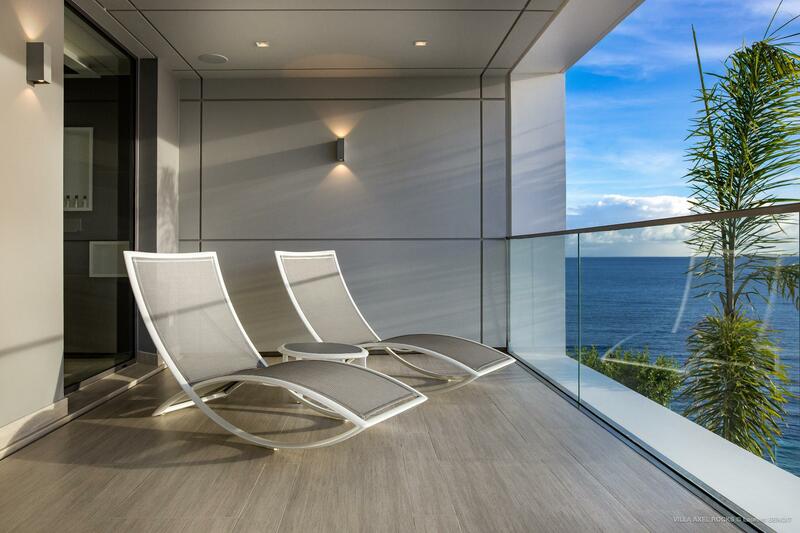 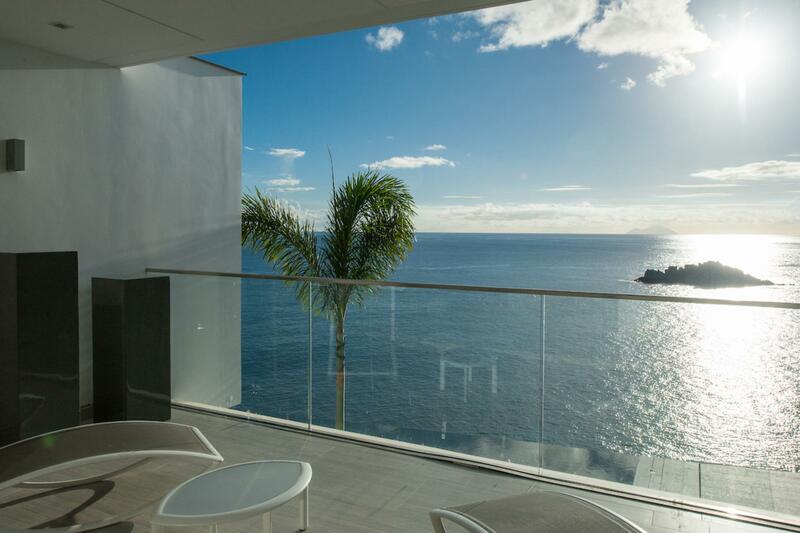 At the same time, it is situated on a hillside that gives it uninterrupted views over the sparkling blue sea. 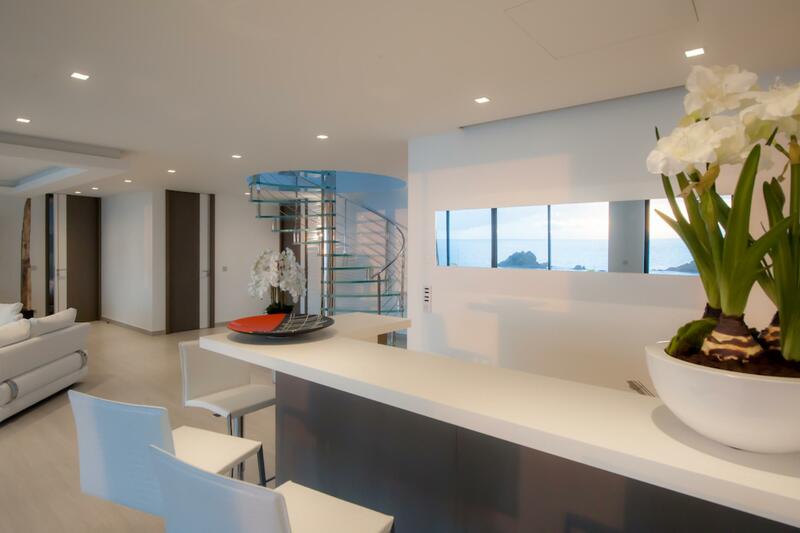 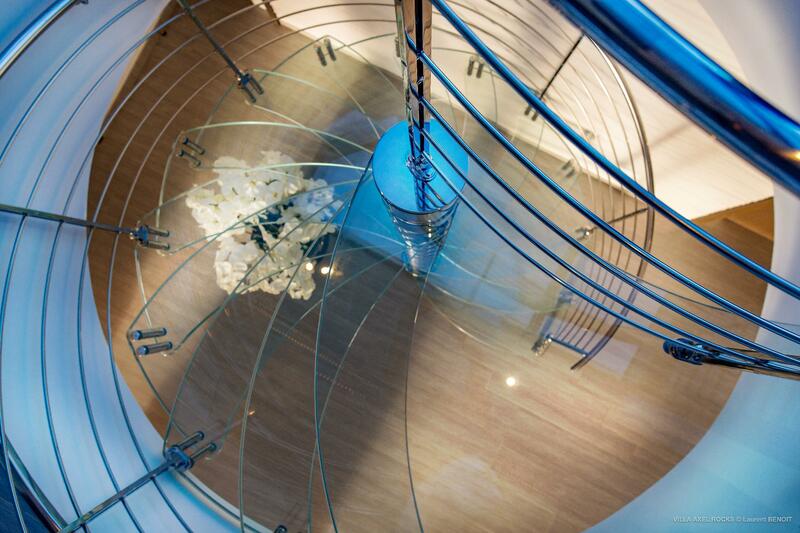 The entrance is on the upper level, which also contains three of the four bedrooms. 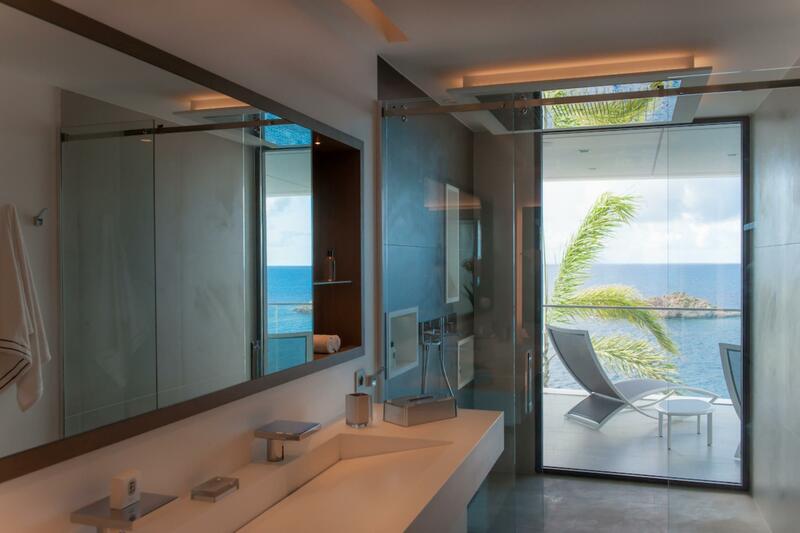 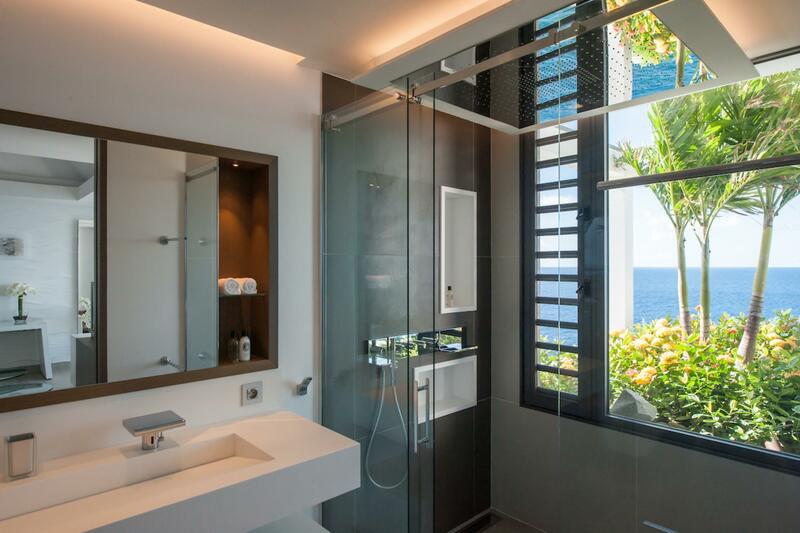 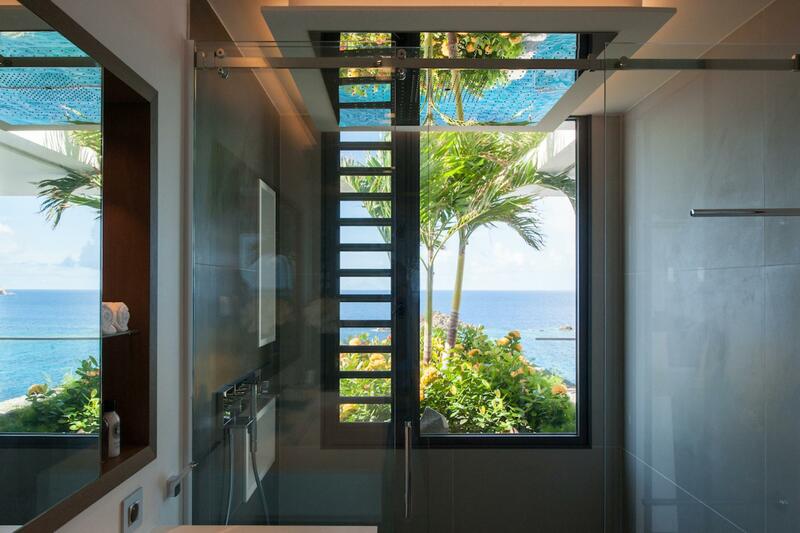 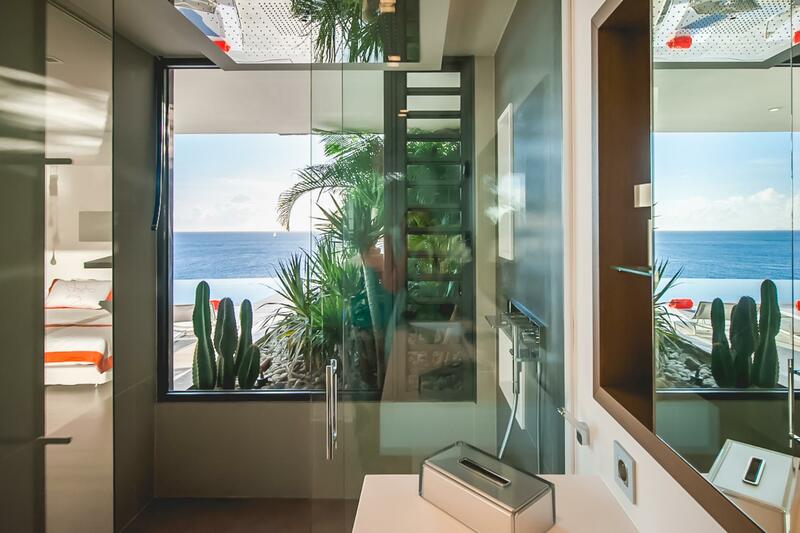 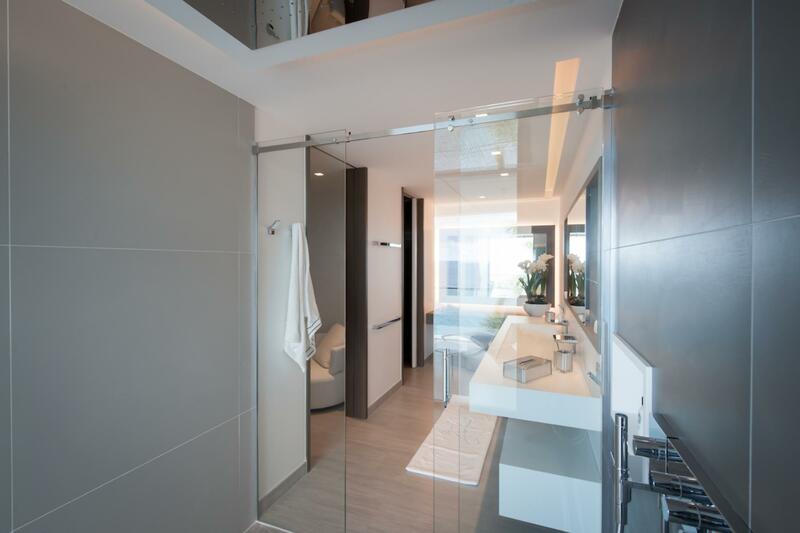 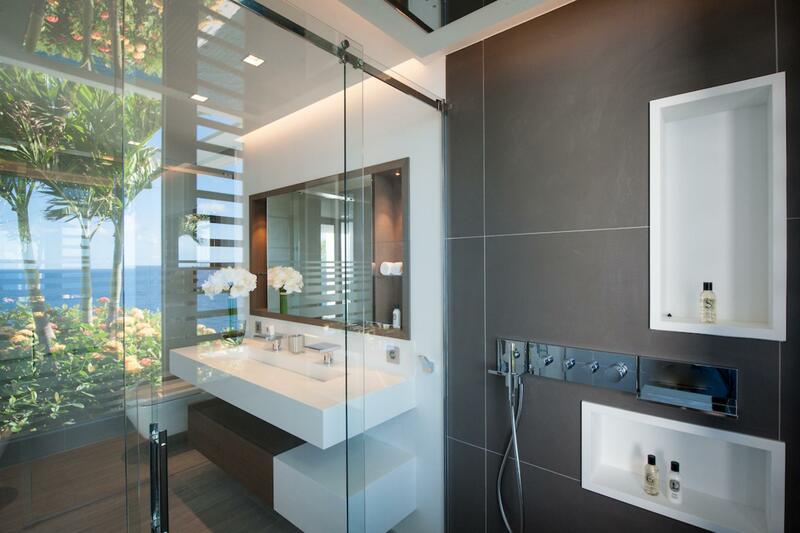 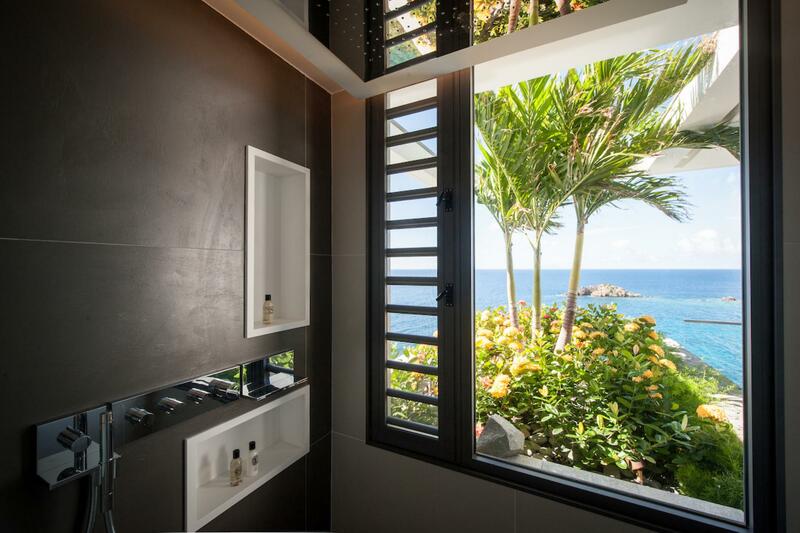 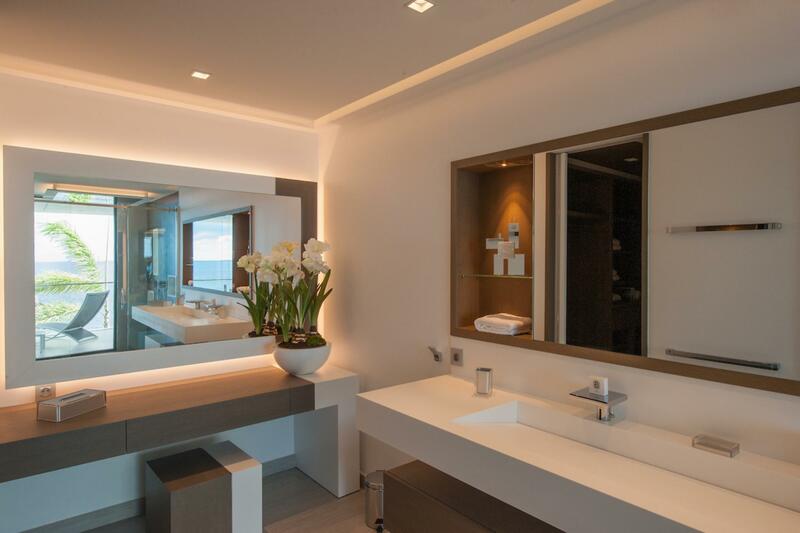 Each of these upstairs bathrooms has a private terrace with a sweeping view. 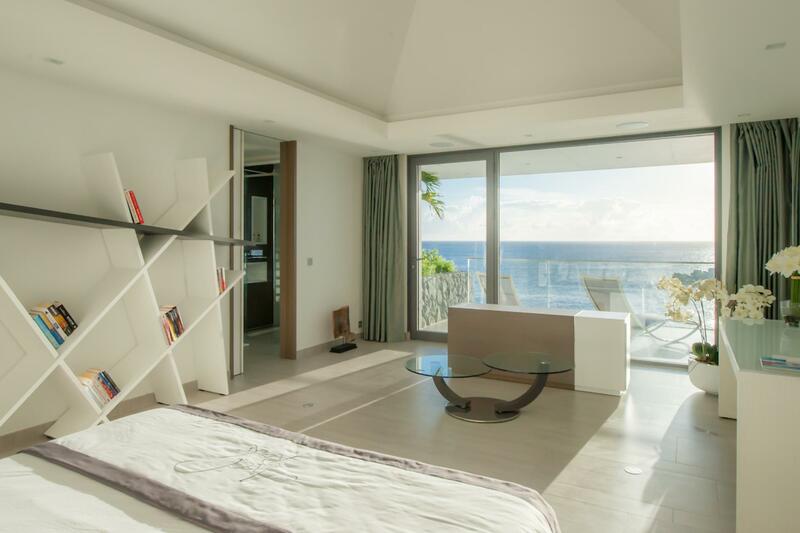 A staircase leads from there down to the main level, which has the fourth bedroom that opens onto the pool terrace, as well as the shared spaces. 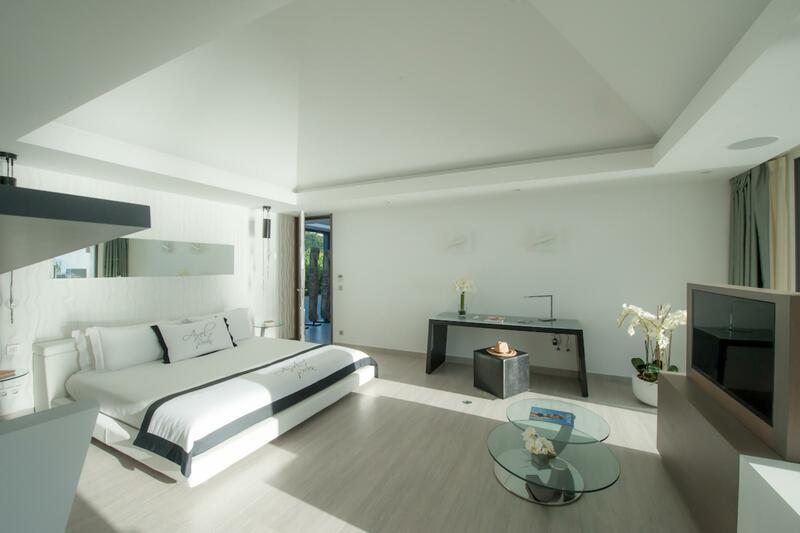 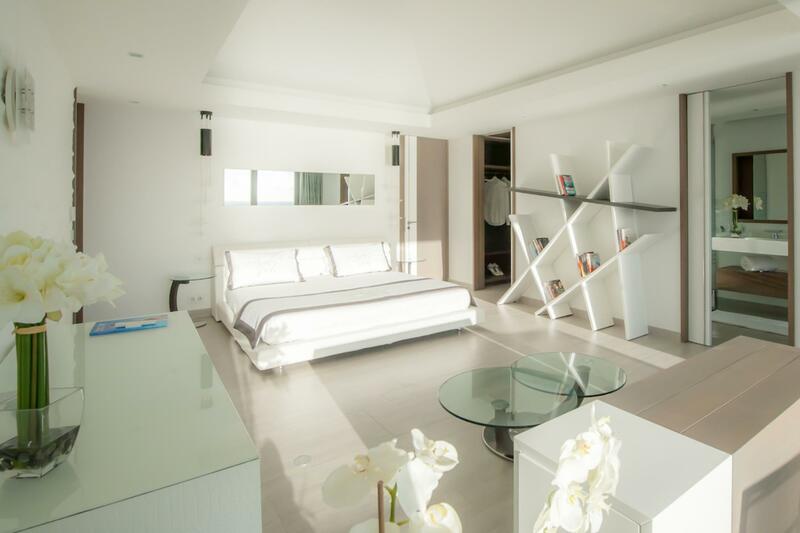 All the bedrooms have European king beds and ensuite bathrooms. 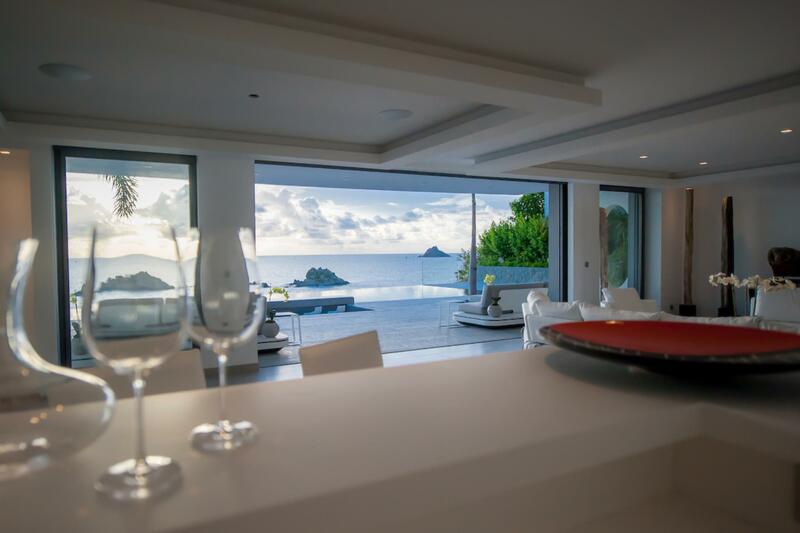 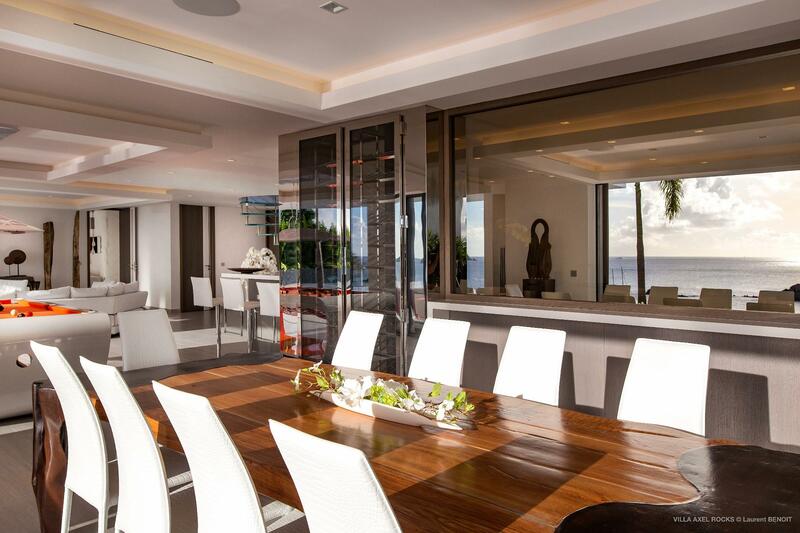 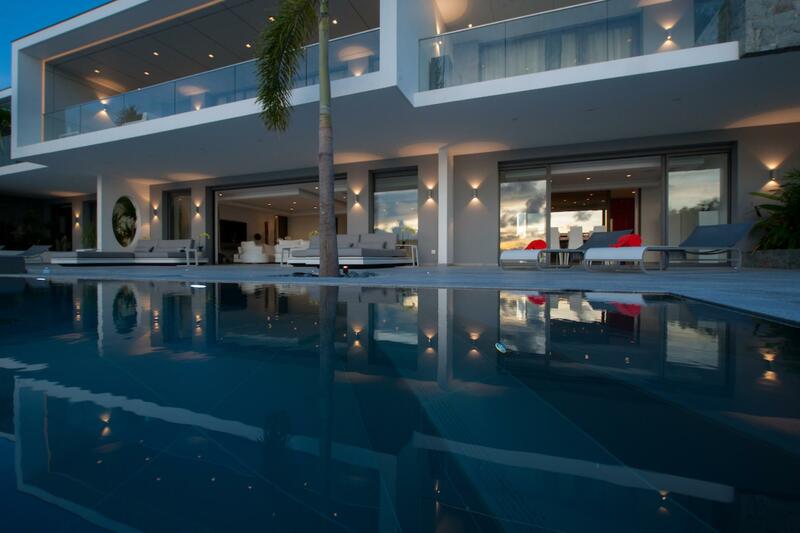 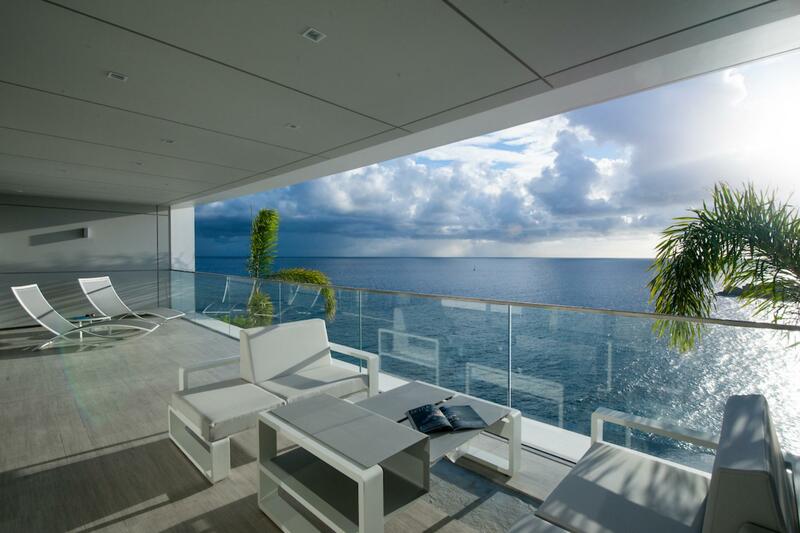 Sibarth Bespoke Villa Rentals is proud to present the elegance and grandeur of Villa Axel Rocks.